With Spring fast approaching it makes sense to start the season off in style with a pair of eye-catching floral specs. Brighten up your spring wardrobe with a pair of spectacles, elegantly decorated with intricate floral detailing, eye-catching chain stitching and opulent hues. With floral embroidery proving to be a popular design for clothes, why not take the trend one-step further with a pair of CATH KIDSTON specs? 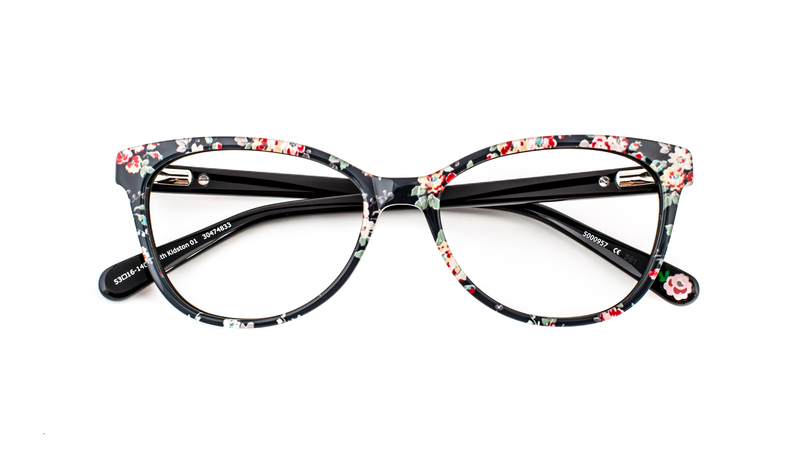 The pretty and feminine flower spray paint is subtly complimented by the black round frames. These glasses are a great way to embrace the trend and can add a playful finishing touch to your look. Why not pop into the Leigh-On-Sea store to try a pair on?